A perfect companion for the park! 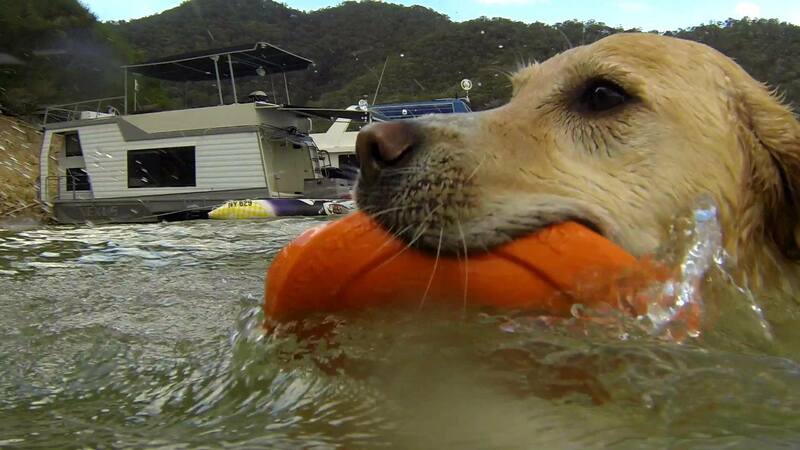 The Zisc from West Paw Design is a floatable dog frisbee that goes the distance. 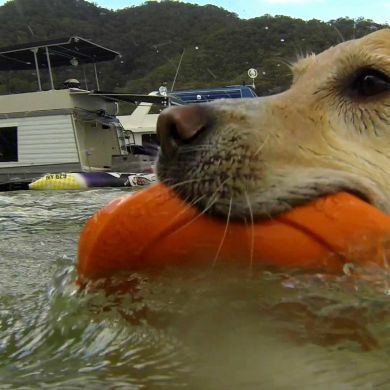 Made with durable and buoyant Zogoflex material, it's more pliable than a hard-shell frisbee and faster than those made from fabric. 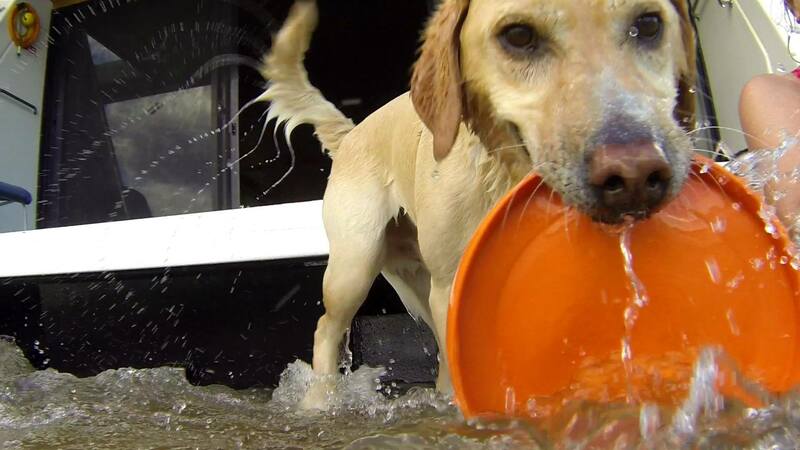 The flexible material makes this dog frisbee gentle on soft mouths and easy to pick up. While the Zisc dog toy is not designed to be a chew toy, it is designed to withstand as much active play as dogs can dish out while playing frisbee. 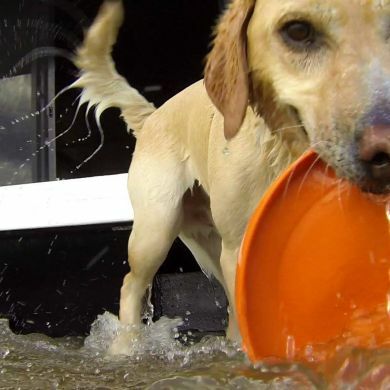 The mini size is a perfect frisbee for small dog breeds and those dog people who prefer a compact, go-anywhere dog frisbee. Mini Zisc is not only smaller, but thinner and lighter too. 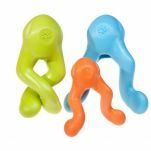 Available in three bright colors for easy spotting in water, grass or snow. Or for night time fun, get the Glow in the Dark model! 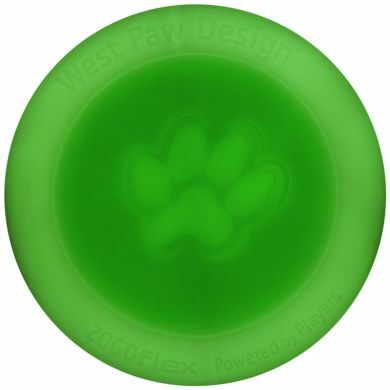 Read 9 customer reviews of West Paw Design Zisc. The average customer rating is 5. Can't speak highly enough of these frisbees! 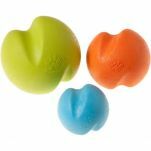 They're so flexible and easy on teeth and gums for a puppy or older dog. Easy to find at twilight too with it's glow in the dark. Our dog is a big fan. My dog Leo --6yrs-- loves to retrieve & this West Paw Zisc, is a lovely toy for the parkwhen the grass is wet, as it doesn't get limp with moisture , & also, being soft materialdoesn't damage his teeth. Great, flexible, durable product. My boxer is rough with his toys. Other toys have perished within hours of coming home however the West Paw Design Zisc has stood the test of time against the most playful dog. 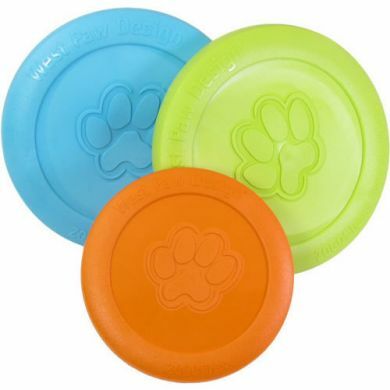 Great for throwing, catching, playing in the park as well as using for encouragement to go fetch in the backyard on a rainy day. Definitely a favourite toy. The Zisc is never far away from him - when he was recently sick, he kept it near him on the bed !! The whole family loves the glow in the dark zisc. West paw design is a great brand. West Paw toys are just the best toys I have found and the Zisc is no exception. This is the 3rd Zisc I have bought (glow-in-the dark this time) and my very active border collie loves them. We take them everywhere with us and I am happy to leave him play on his own with it (he runs round and round the house with it flapping in the breeze out of his mouth) because no matter how often he sits down to have a chew there is never a mark on it. It flies beautifully for long enough to give him a good work-out chasing it.I was delighted when I discovered that Waggle were stocking West Paw Design toys - massive savings on postage (over FedEx from US) and they are a pleasure to deal with. Nothing is too much trouble! My dogs and I really love this Zisc frisbee. It's soft enough to not hurt their mouths when they grab it out of the air at high speed, but also strong and flexible enough that they can't chomp through it or damage it. And, it floats! Our dog, Clancy, loves her new toy, if we aren't throwing it for her, she carries it around in her mouth like a comfort toy! She has our neighbour throwing it for her too all the time and anyone else who comes near gets roped into a game. It is a great product, soft on her mouth, easy to clean and ultra safe. The service from Waggle was wonderful, quick & easy. thank you . The Zisc is arguably the best dog frisbee available, and I have tried just about every other product out there! 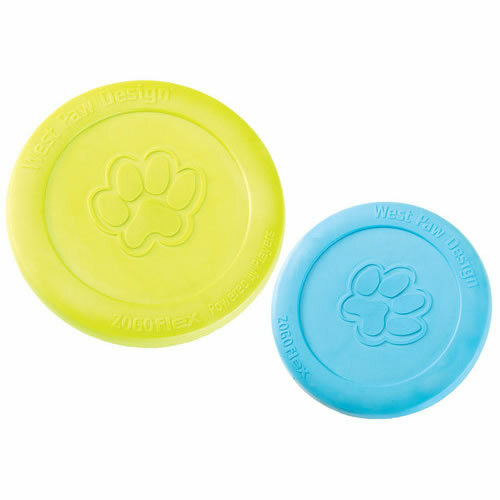 Not only is soft on the dog's mouth and made from the most durable and safe material, but it flys perfectly and the fact that it floats means it ticks all the boxes for my dog! !